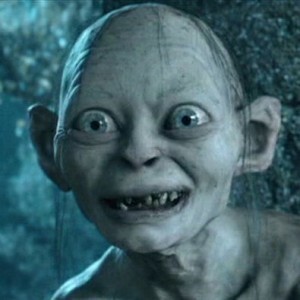 Exclusive: Despite promises of “openness,” President Obama has treated information that could inform American democracy like Tolkien’s character Gollum coveted his “precious” ring. Obama is keeping for himself analyses that could change how the public sees the crises in Syria and Ukraine, writes Robert Parry. President Barack Obama promised a “transparent” administration, reviving democracy by letting Americans see into the inner workings of their government as much as possible, an implicit criticism of the excessive secrecy of his predecessor, George W. Bush. But instead Obama’s presidency has been one of the most opaque and deceptive in modern history. Not only has Obama continued to wrap the carry-over anti-terrorism wars in maximum secrecy but he has taken unprecedented steps to shut down leaks by prosecuting whistleblowers who talk to the press. And, he has left standing his administration’s misleading rushes to judgment on key issues after U.S. intelligence analysts have refined or reversed the first impressions. Whether on the Syrian sarin attack in 2013 or pivotal incidents in the Ukraine crisis – who was behind the sniper attacks in Kiev last Feb. 20 and who shot down Malaysia Airlines Flight 17 last July 17 – Obama has withheld evidence developed by U.S. government analysts rather than undercut the propaganda value of the initial accusations. In the sarin incident, Secretary of State John Kerry and others rushed to blame President Bashar al-Assad’s government – bringing the U.S. military to the brink of war – and similarly the State Department exploited the two most iconic events of the Ukraine crisis by blaming then-President Viktor Yanukovych for the sniper killings and Russia and ethnic Russian rebels for shooting down MH-17 killing all 298 people onboard. After the State Department had squeezed out the propaganda value of those accusations, U.S. intelligence analysts came to more detailed conclusions with their findings conflicting with the hasty finger-pointing after the events. But instead of refining or correcting the record, the Obama administration typically went silent, leaving the initial impressions in place even when the President knew better. In the context of Ukraine, I asked one senior administration official about this behavior and he responded that Russia held most of the advantages there by nature of proximity and history but that one advantage the United States wielded was “information warfare” – and it made no sense to surrender that edge by withdrawing accusations that had put Russian President Vladimir Putin on the defensive. Thus, in this Orwellian world that seems to have swallowed America’s major institutions, what mattered most was how “information” – including false or misleading propaganda – could be deployed for geopolitical purposes even if it also involved deceiving the U.S. public. Or, one might say, especially if it deceived the U.S. public. This attitude toward manipulating rather than informing the American people has a long and grim history. For instance, President Lyndon Johnson won congressional support for his disastrous Vietnam War escalation by citing the Tonkin Gulf incident, a false claim about North Vietnamese aggression which has since been debunked but still is used historically by the Defense Department to justify the millions killed in that conflict. Instead, Obama has clamped down more than ever on openness and transparency, including the prosecution of more government whistleblowers than all the previous presidents combined and sitting on U.S. intelligence reports that would change how Americans understand major international crises. By and large, Obama has continued the excessive secrecy of President George W. Bush, including withholding from the American people 28 pages of the 2002 congressional investigation into the 9/11 attack that relate to Saudi financing for al-Qaeda terrorists. Obama also has refused to give the U.S. public access to the updated intelligence analyses of more current crises, including the near American military entry into the Syrian civil war in 2013 and the potential nuclear showdown with Russia over Ukraine in 2014. So, even when American lives are being put at risk by rushes to judgment, Obama doesn’t believe that the people have a right to know the facts. This entry was posted in Barack Obama, foreign policy, government, politics and tagged Consortium News, Gollum, government secrecy, Iraq, Robert Parry, Russia, secrecy, Syria, Ukraine, Vietnam. Bookmark the permalink.